Our Dodge Chrysler Jeep® car dealership is full of all of the best models. We know people in Dawsonville are worth the best, and we hope you’ll give us the opportunity to provide you with it. For residents in the Dawsonville area, we can assist you in finding the right new or used vehicle to meet your needs right from our website. Whether it’s for a large or small family, or just for yourself, we’re sure to have something on hand that can satisfy your needs. Are you shopping around Georgia for a pre-owned vehicle? Start and end your search with us and save thousands. The advantage of shopping with us means you have access to an extensive selection of pre-owned vehicles from which to choose a car that fits your needs. 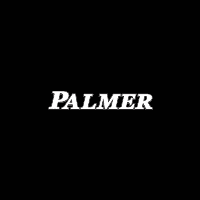 Palmer Dodge Chrysler Jeep Ram wants to make achieving your goal of an excellent rate on a car loan near Dawsonville a fast and easy reality! Our qualified experts can help anyone achieve an auto lease or car loan in Georgia, even those with not so perfect credit! When we receive the application, we’ll look it over and one of our friendly staff will contact you as soon as possible. If you want to keep your Dodge Chrysler Jeep® vehicle running as if it was new and live near Dawsonville Georgia then please consider bringing it by Palmer Dodge Chrysler Jeep Ram’s repair center. Our trained staff will aid you in locating even hard-to-find car parts and accessories. If you’d like to arrange an appointment with our service staff you can do so by creating a vehicle service appointment here on our site.